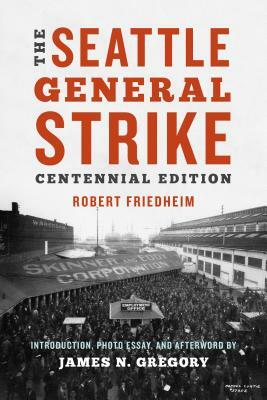 "We are undertaking the most tremendous move ever made by LABOR in this country, a move which will lead--NO ONE KNOWS WHERE " With these words echoing throughout the city, on February 6, 1919, 65,000 Seattle workers began one of the most important general strikes in US history. For six tense yet nonviolent days, the Central Labor Council negotiated with federal and local authorities on behalf of the shipyard workers whose grievances initiated the citywide walkout. Meanwhile, strikers organized to provide essential services such as delivering supplies to hospitals and markets, as well as feeding thousands at union-run dining facilities. The late Robert L. Friedheim was director of the USC School of International Relations and author or coauthor of nine books. James N. Gregory is professor of history at the University of Washington, author of The Southern Diaspora and American Exodus, and director of the Pacific Northwest Labor and Civil Rights Projects, a collection of online oral history and research projects.